Ranveer Singh’s quirky sense of fashion often hogs him all the limelight. From his infamous ‘condom look’ to the rocking ‘skirt look,’ Ranveer pulls off any garment with all the glamour and charm. His fashion that is synonymous to the most superlative degree of style hence becomes the talk of the town very often. Keeping up to his league, the Gully Boy actor recently aced another eccentric outfit. Donning print over patterns, Ranveer left us bewildered about where should we focus. Adding to the oomph of the outfit was a ‘Narangi’ (Orange) colored long blazer! No doubt, the actor pulled off the look with extreme confidence and style but also set the tongues blabbering, like always. Ranveer shared the look on his Instagram handle. Carrying out his responsibility of being a BFF, Arjun Kapoor was the first one to troll Ranveer. 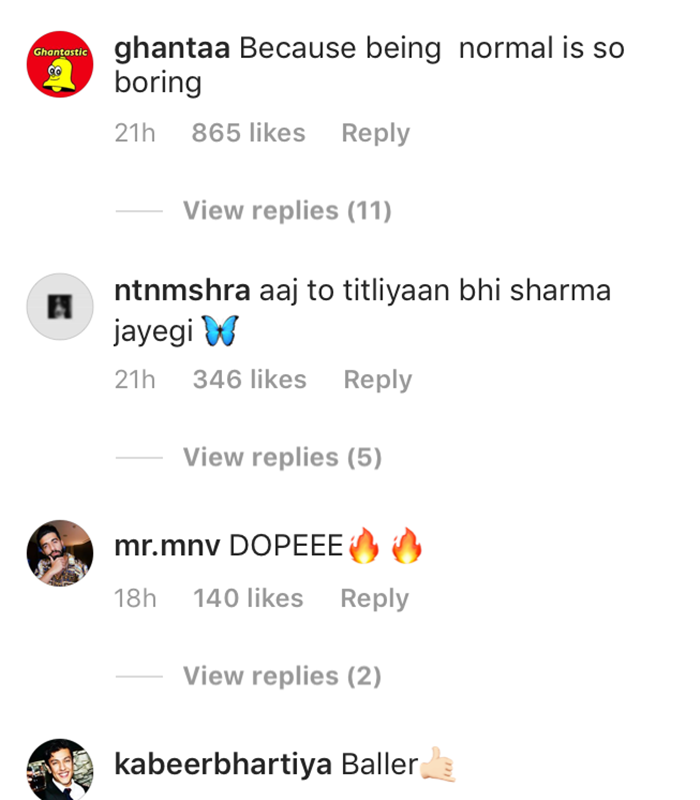 Looking at the vibrant outfit donned by his best friend, Arjun couldn’t hold back and posted a hilarious comment on the picture. 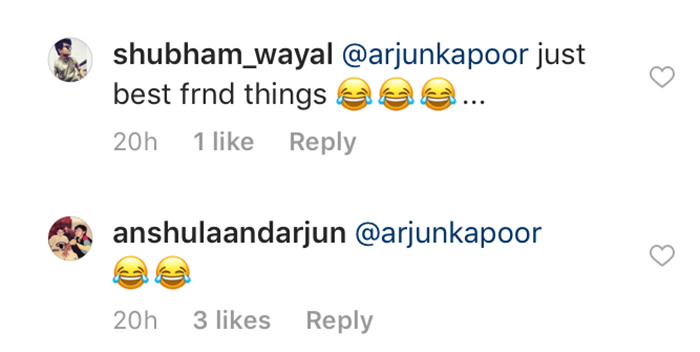 We feel that Ranveer should definitely use Arjun’s comment as the caption for his picture. What do you think?